Jet Pilot Mens F-38 1mm Flight Jacket is a long-sleeve neoprene wetsuit top made with a full length front zip and durable flat-lock seams. 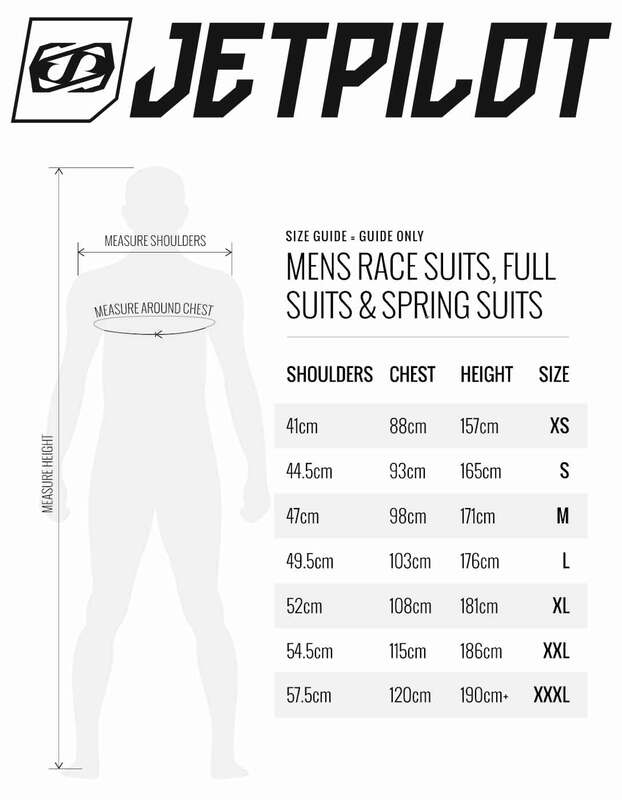 Jet Pilot lead the way in the jet ski wetsuit world with top quality gear and great design and the F-38 follows this trend. In saying that, the F-38 is not just for jetskiing but is suitable for paddle sports like supping, surfin as well as diving and surface water sports. Having a full length front-zip may seem odd but the increasing popularity of them goes to show that the ability to regulate your temperatures is a worthy addition. If you're hot, unzip! When you get cold just zip it back up. 1mm Flex Lite Neoprene: soft, warm and durable. Full Length Front Zip: Easy in/out and allows you to regulate temperatures. Flatlock Stitched Seams: the most durable seam in wetsuit tech.